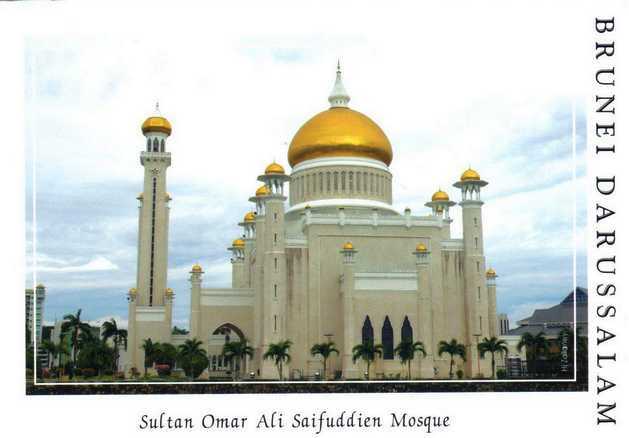 Omar Ali Saifuddien Mosque is an Islamic mosque located in Bandar Seri Begawan, the capital of the Sultanate of Brunei. The mosque is often considered as one of the most beautiful mosques in the Asia Pacific, it is a place of worship for the Muslim community, a major historical site and a famous tourist attraction of Brunei. Named after Omar Ali Saifuddien III, the 28th Sultan of Brunei who also initiated its construction, the mosque serves as a symbol of the Islamic faith in Brunei and dominates the skyline of Bandar Seri Begawan. The building was completed in 1958 and is an example of modern Islamic architecture.